Phoenix — The Arizona Department of Transportation (ADOT) and partner agencies are taking an essential step toward widening and other improvements along 23 miles of Interstate 10 between Phoenix and Casa Grande. In collaboration with the Maricopa Association of Governments and the Gila River Indian Community, where this stretch is located, ADOT has issued a request for proposals for a design concept report and environmental study on adding a lane in each direction and improving existing interchanges. The study, required for projects that receive federal funding, will have an accelerated timeline of 18 months when it launches later this year. The Maricopa Association of Governments, the regional transportation-planning agency, has allocated about $65.5 million toward I-10 improvements in Maricopa County, $5.9 million of which is in ADOT’s current Five-Year Transportation Facilities Construction Program for study, coordination and design of additional lanes. These funds are from the voter-approved Proposition 400 program, the dedicated transportation sales tax in Maricopa County. In late 2019, after ADOT completes two widening projects underway between Earley Road and Interstate 8 in Casa Grande and between Eloy and Picacho, I-10 will be three lanes in each direction between State Route 387 near Casa Grande and Tucson. That will leave I-10 across the Gila River Indian Community, between Queen Creek Road and State Route 387, as the only remaining stretch with two lanes in each direction. That is the area this study will assess. Widening I-10 across the Gila River Indian Community has been a longer-term ADOT priority requiring an agreement with tribal leaders and significant funding. While funding for initial improvements is tentatively planned for fiscal year 2023, the study will determine when construction would begin and establish the time frame for improvements. 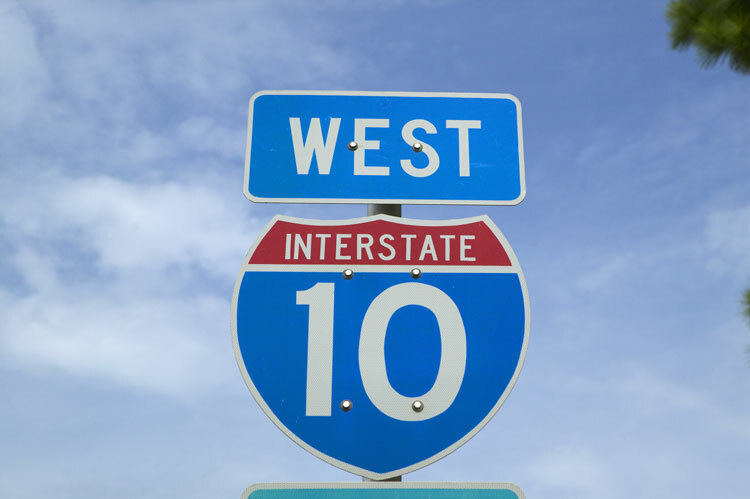 ADOT is committed to identifying additional funding for I-10 improvements elsewhere in this Key Commerce Corridor.